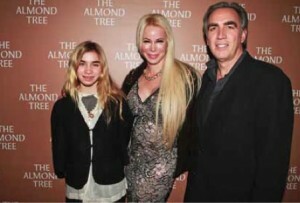 Few months since its launch, The Almond Tree has already been translated into three languages besides garnering accolade from all across the globe. I didn’t become a writer because I wanted to tell stories. I became a writer because I had a story to tell. I had the misfortune of witnessing something I didn’t want to see that affected me to such a degree that despite all my efforts it clawed its way out in the form of a story. When I wrote this novel, my target audience were Jewish Americans and others in America who are not familiar with this narrative of the conflict. I never dreamt it would get translated into so many languages so quickly and reach so many people. I’m so grateful for its success. Through the two brothers, I tried to capture the different ways in which Palestinians respond to Israeli oppression. The brothers, though very different in character, were virtually inseparable until an Israeli cripples Abbas, leaving him in chronic pain – and angry at the people who caused his disabilities. Abbas fills an important role in The Almond Tree providing a context for why some Palestinians choose a life of resistance, risking death, injury, torture and imprisonment. I have not written about abstract ideas in Palestinian families’ lives. They are facts of life that touch and have touched every family. Abbas is not a bad person. He’s a freedom fighter as opposed to Ahmed whose genius opened doors for him that were not available to Abbas. Ahmed chooses another path, partly out of a moral indebtedness to his father, and partly because he naturally possessed something that could act as a bridge between him and the world beyond his Palestinian village. Of the two brothers Abbas is much more dedicated to the cause of resistance and freeing his people. Ahmed is more concerned with his immediate family’s survival. None of them are bad and their relationship is crucial to the story. I love to travel. We went on an amazing adventure vacation to Jordan. We had a Bedouin guide and rode horses from little Petra to big Petra as well as donkeys. We went on a camel trek through the desert and slept in a Bedouin tent and experienced life as a Bedouin. I like to visit a place for an extended time so that I can experience life there. I have lived in France, Spain, Egypt, England and Israel. Paris is my favourite city so far, although I hope to travel to South Asia in the near future. I love reading, movies, travel, mountain climbing and mountain biking. I’m finishing my second book right now. A Palestinian man who wanted to become my protagonist told me that he liked the relationship between Nora and Ahmed and wanted me to expand on that. When I started to write from Nora’s point of view, the story just flowed. I was going to write Nora and Ahmed’s story from Nora’s point of view, but I felt too constrained by The Almond Tree so although it started that way, a completely different story about star-crossed lovers emerged. In my new story, I am not the protagonist, but I pulled a lot from my personal story in writing her.